Address 1301 N. Humboldt Dr. Description Wheel Fun Rentals at Chicago’s Humboldt Park puts explorers in motion with a great selection of bicycle rentals, specialty cycles, Surreys, kayaks, and swan pedal boat rentals. Race along the park’s twisting pathways as you achieve low-to-the-ground glory with a Chopper, Quad Sport, or Deuce Coupe. Guests can also spend the afternoon on the lake in Chicago’s only iconic Swan Boats. Intrepid adventurers can select from a variety of vehicles, from Surreys to mountain bikes, and so much more. 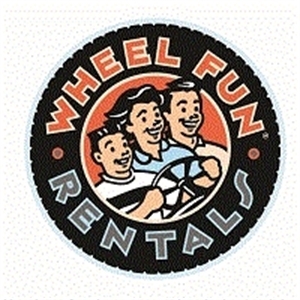 We are Wheel Fun Rentals and we are proud to have had the chance to offer our unique wholesome recreation in Chicago since 2013. Add Wheel Fun Rentals - Humboldt park to your free online travel itinerary.